Lot Size: n/a "18.24 acres"
The property was subdivided as part of a sales agreement so that the garage and only 3 acres are being sold. 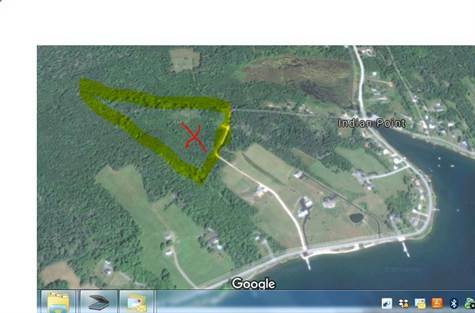 This property of Approx 18.24 acres is located minutes from the center of historic Mahone Bay in picturesque Indian Point. It comes with a well built 20x40 ft garage with big overhead doors at each end, skylites, electric power (separate meter) for lights and heating, alarm syatem and finished with cedar shakes on exterior. An excellent structure for winter storage of boats or RV's and equipment. The land is mainly woodland and has frontage on Hwy 822 Hiltz Rd (formerly known as Old Oakland Road). Call for more information or to schedule a showing.